Whether you're in the market for a compact refrigerator for a small space or a large appliance for a family home, you'll want to carefully consider the features you want from a refrigerator company before deciding on a purchase. Consider where and how a refrigerator will fit into a kitchen, then decide on size, features and exterior design. Viking, located in Greenwood, MS, is a luxury home appliance company that became famous for creating high-quality gas ranges. The company also makes customized built-in refrigerators that match the kitchen's design. Samsung is a Korean-based appliance and electronics company that sells a range of home appliances. The company is known for creating tech-forward refrigerators that have advanced features like WiFi connectivity. LG is a Korean company that sells several kinds of appliances and electronics. The company offers refrigerators intended for use in residential kitchens, and its fridges come in a wide and varied range of styles and sizes. Whirlpool is a company that first became known for creating electric, motorized washing machines. Today, it makes many more home appliances, and one of the most popular is their refrigerators, which come in a range of styles. Sears is a large department store that was founded in 1893 and headquartered in Illinois. Today the company sells a wide variety of appliances for the kitchen, including refrigerators, and it is known for its value. Kenmore, a subsidiary business of Sears Holdings Corporation, makes a wide range of home appliances for the kitchen and laundry room. 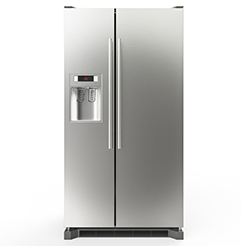 The company offers a range of refrigerators in many different styles and sizes. Frigidaire is an appliance company that became well-known for creating refrigerators. The business is headquartered in Augusta, Georgia, and it sells refrigerators in a wide and varied range of sizes, shapes and styles. KitchenAid, headquartered in Benton Harbor, MI, is an appliance company that offers a wide range of refrigerators for home kitchens. The company is known for being the first business to create a five-door refrigerator. General Electric, or GE, is headquartered in Fairfield, Connecticut. The company has long been considered one of the leading home appliance companies in the world. GE sells a wide variety of refrigerators for home kitchens. Maytag makes washers and dryers, central heat and air units and kitchen appliances like refrigerators and freezers. They have two models of chest freezers and three models of upright freezers, ranging from $549-$849. What features matter most in a refrigerator? It's important to have a refrigerator that is easy to use and has the right amount of accessibility. Doors and drawers: The size and weight of doors and drawers on a fridge vary. Some doors will be quite heavy, so kids might have a hard time opening them. Others are light and can swing back and forth on the hinge, but these doors can easily be left open. Versatility: Does the refrigerator allow you to switch the side that the door swings on? This feature is convenient when a fridge is installed and the door will not open all the way because of a wall or cabinet; the door then can be switched to fit the space. Freezer position: Most refrigerators will come with a freezer, which can be located in different positions. Bottom drawer freezer refrigerators make it easy to reach your fresh food without having to bend over. Top door freezer refrigerators have less freezer space and are best for people who need access to ice and small frozen foods. There are also refrigerators where the fridge and freezer are positioned side-by-side, making access to both very easy. Depending on whether you are looking for a small, cost-efficient refrigerator or a large appliance for your business, the cost can vary greatly. Some companies provide less expensive solutions and others focus on making a luxury product. Budget-friendly: There are many budget refrigerators available, whether they are tiny, compact versions or are made of cheaper materials. These cost less up front but may have to be serviced or replaced more often. You can find cheap refrigerators for just a few hundred dollars that don’t have any additional amenities or bells and whistles. Basic: Some refrigerator companies offer middle-of-the-line models that offer plenty of storage space and are perfectly functional but might lack extra features, such as icemakers. Luxury: These feature more expensive materials, such as stainless steel, and expensive technologies, such as smart temperatures, CleanFlow Air Filters and Wi-Fi. The general aesthetic of the fridge is also a key factor in making a choice. Finish: Stainless Steel finishes are durable and attractive but also show fingerprints and dirt easily. Other materials, like plastic and faux stainless, can be less expensive and conceal dirt a bit better. Depth: Depending on the space, the depth of a refrigerator can sometimes make a room feel crowded or take over the whole aesthetic of the kitchen. Look for one that is space-appropriate and doesn't stick out from the cabinets or wall too much. Interior storage: Does the refrigerator have enough storage space in the body and doors to make sure that it doesn't look cluttered and messy? Some refrigerators come with adjustable shelves and storage features. Some refrigerator companies have special offerings that help them stand out from their competitors. Knowledgeability: The company should be knowledgeable about the types of refrigerators on the market and its current models should feature the latest technology. Warranties: A good refrigerator company offers warranties that ensure your new refrigerator will stay functional over time. Standard warranties included with purchase normally cover repairs and defects for up to one year, but some companies allow customers to purchase extended service and repair plans. 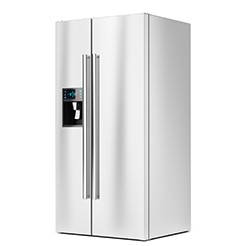 Accessibility: A refrigerator company should be able to offer customer support over the phone or online chat, as well as have certified technicians available to you so your refrigerator can be serviced or replaced right away. Many refrigerator companies offer green alternatives that are friendlier to the environment. Energy efficiency: Some refrigerator companies only sell refrigerators that are energy efficient in order to reduce the impact of energy use on the environment. App connection: Many refrigerators have features where they can be connected to an app, this app can control them remotely so you can fine-tune energy consumption. Money-saving: Customers will save money on their energy bills by reducing the amount of power needed to operate their refrigerators. What are the different types of refrigerators? Kenmore is a recognized brand in the appliance industry and has been around over 100 years. 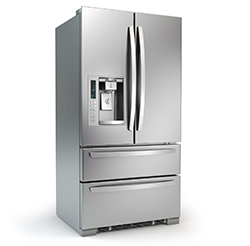 Kenmore offers high-quality refrigerators in a wide range of sizes and models at affordable prices. Whirlpool is an American multinational manufacturer and marketer of home appliances that makes a number of different styles of refrigerators. The company manufactures refrigerators under a number of different brand names. LG, formerly known as Lucky Goldstar, is a Korean appliances company. The company, based in Chaebol, South Korea, has been in business since 1947. Sub-Zero has long been one of the leading lines of refrigeration products. The company was founded in 1945 in Madison, Wisconsin. Samsung is a Korean appliance company known for creating a wide range of electronics and home appliances. The company, based in Seoul, Korea, was founded in 1938. While Frigidaire sells a wide range of appliances, the company has long been known for specializing in refrigerators and freezers. Frigidaire headquarters are in the heart of Augusta, Georgia. KitchenAid is an American home appliance brand owned by Whirlpool. 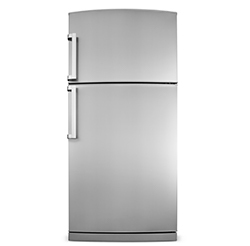 The company began in 1919, and it makes a variety of refrigerator sizes and styles. Haier is one of the largest home appliance companies in the world. The company began in Qingdao, China and was founded in 1984. Sub-Zero Appliances, headquartered in Madison, Wisconsin, has long been considered one of the leading luxury home appliance companies in the world. The company is well known for its custom built-in refrigerators. Haier refrigerators are made by Haier Group, which is the global leader in appliances. The company makes a wide range of refrigerator products and styles, including under-counter, French door and top-freezer refrigerators. Liebherr refrigerators are made by the Liebherr Group, which was founded by members of the Liebherr family in 1949. The company manufactures a wide range of products and appliances worldwide, including refrigerators. Thermador Refrigerators are stand-alone, modular refrigerator units that can be arranged to fit the customer’s kitchen space. Their Freedom line are designed with features like LED lighting and full-extension drawers. 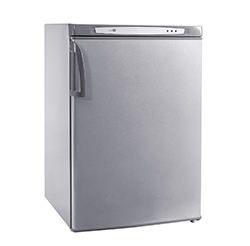 Avanti manufactures compact and mid-size refrigerators for apartments and other small spaces. The company has been in the appliance business for over 40 years. Their products are available online and at many mass market retailers. Danby manufactures several small appliances including refrigerators and freezers. The offer mid-sized refrigerators and mini fridges for small spaces. The company has been in business more than 65 years and is family owned. Jenn-Air is a company that has been making a range of appliances, including refrigerators, since 1961. The company is headquartered in Benton Harbor, Michigan, and it has multiple manufacturing plants across the United States. Hotpoint is a company that focuses solely on creating appliances for the home. The company, which was founded in 1918 by Earl Richardson and George A. Hughes, invented things such as the first refrigerator on wheels. GE icemakers are made by General Electric, a large electronics company that is based in Fairfield, Connecticut. The company sells refrigerators, freezers and icemakers. It also provides common ice maker accessories and parts. Igloo branded refrigerators are designed for small spaces, with capacities between 1.6 and 7.2 cubic feet. Curtis International Ltd. is the licensed manufacture for Igloo refrigerators. They’re available online and in stores.